The Sigra external casing packer is an easily set packer for use when cementing holes above a set depth. In its initial form, it is built on 7″ casing with API Buttress threads. The casing packer is 83⁄32″ (206mm) in diameter for use in 8½” to 12″ drill holes. The packer is designed for a hold back pressure differential of 1000psi (7mpa). The packer is fitted to the casing string then run into the drill hole. A ball value is dropped into the casing to seal the bottom valve. The casing is pressurised with fluid, inflating the packer which seals the borehole wall. 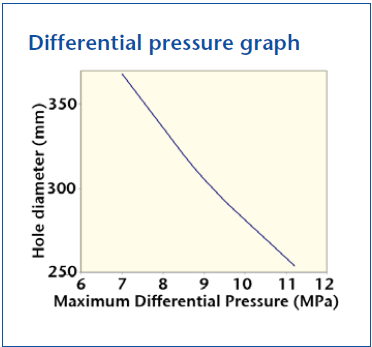 When the pressure rises sharply the burst valve opens allowing fluid to flow into the outer annulus. Cement grout may then be pumped via the casing to seal the casing to the formation. The burst valve acts as a non-return valve to prevent the return of grout into the casing. 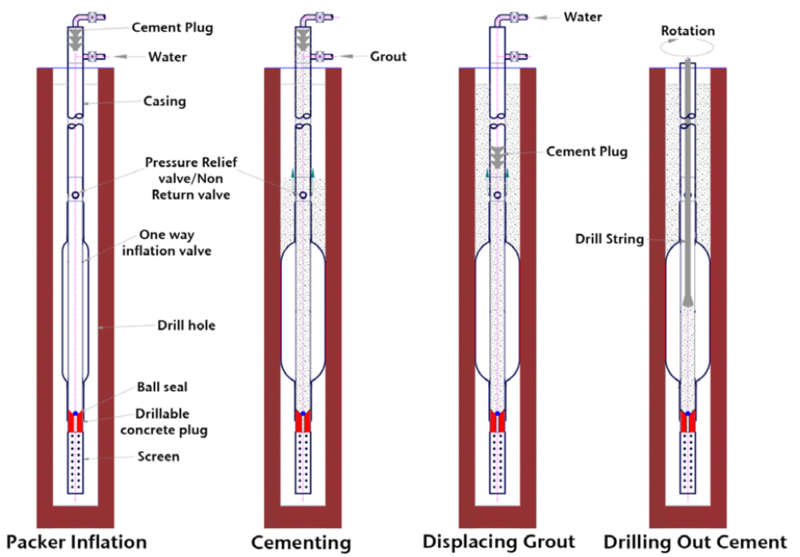 After the correct volume of cement grout is pumped into the casing, a cement displacement plug is pumped in until it reaches the non return valve whereupon a hydraulic lock is formed. The drill string may then be run into the casing to drill out the cement displacement plug, cement grout and bottom valve. The packer system has no sliding seals where leaks would occur, and it will remain inflated for a long period. It is remarkably easy to use.